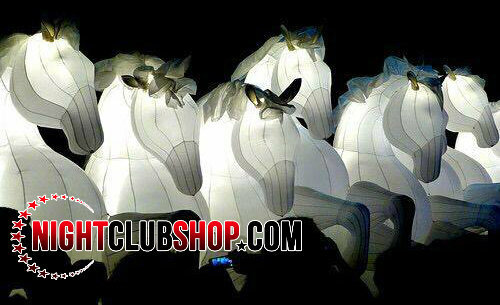 The newest "LARGER THAN LIFE" Collection of Walk Around Inflatable and illuminated LED Costumes is made of a durable and long lasting tested 210T Polyester fabric and is guaranteed to give you many many uses when taken care of and used properly. Repair Kit included in case it ever snags or rips. 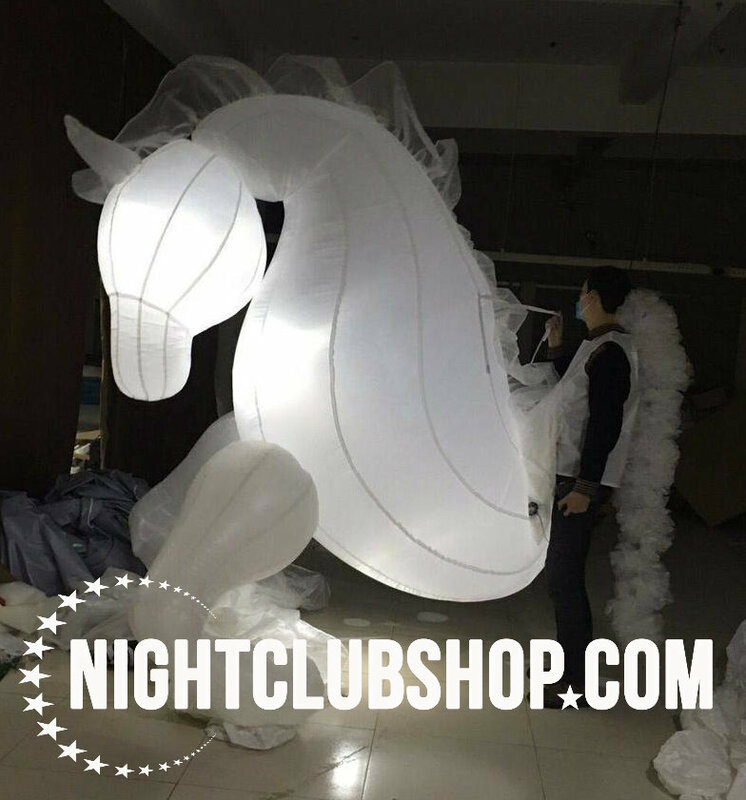 This Ten Foot (10') "LARGER THAN LIFE" Inflatable Horse Costume Piece is Great for Stage Events, Festivals, Concerts, Rodeos, Carnivals, Shows, Productions, and larger Nightclubs and Entertainment Venues. 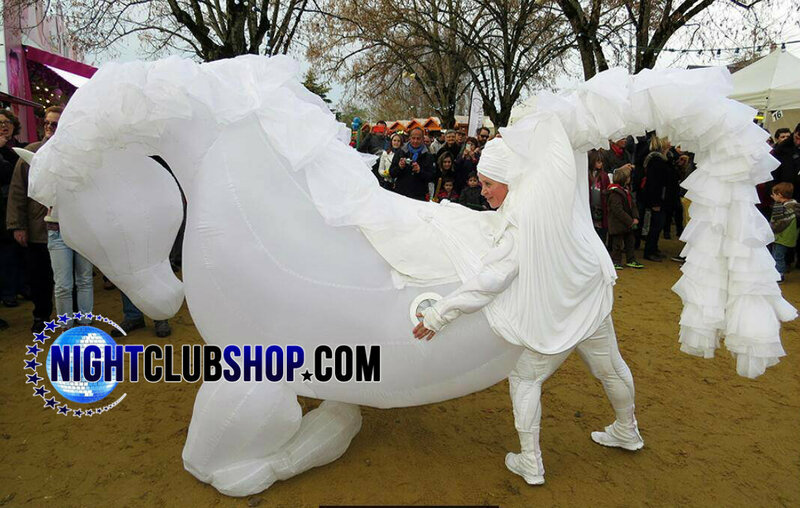 This Inflatable Blow Up LED HORSE outfit/Costume is Powered by a 12 Volt 9Amp Battery (Not Included) and it can give you over 8 Hours of use before recharging. We will show you where to buy the battery at a cost of under 50$ U.S. Extremely popular in Spain, Brazil, China and #Carnivale , NightclubShop.com is now making this unique product available in the U.S.A. and to many of our International Clients. 16 LED Light Up Colors, Illuminated and changing by a wireless Remote control, the person wearing the LED HORSE Costume or a chosen assistant can easily control the Illuminated LED Lighting Effect that makes this Jumbo LED Horse Costume stand out and GLOW in and at your Event Space or Show!